Friday we had our first test before the 2018 VLN season. The plan was to drive both Friday and Saturday, but Saturday’s official VLN-test was canceled because of cold weather and snow. But we had a good Friday with almost 80 laps on the Grand Prix-track. It was cold and wet, but the car worked perfect all day. It was good to get som milage behind the wheel again, and to find back to the “feeling” of driving a race car. We have also had some meetings about the season, and everything is set for our first race April 7th. 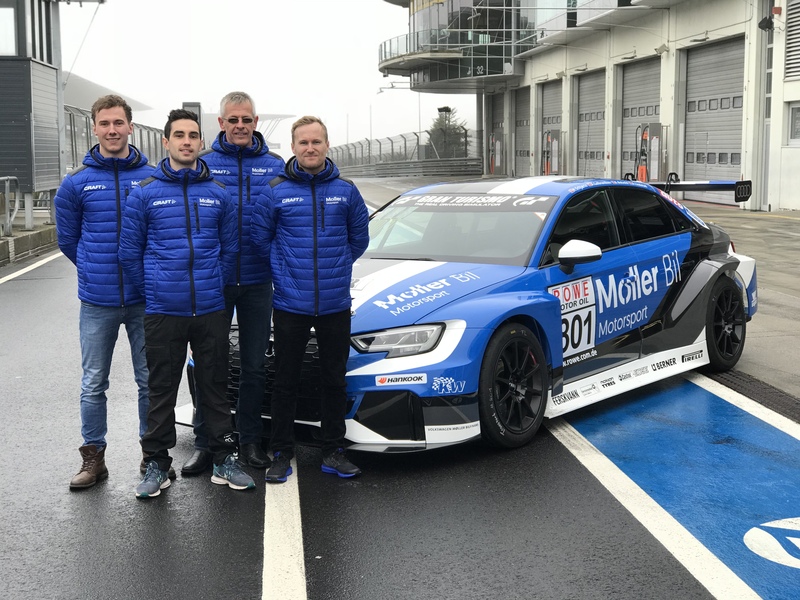 As we hoped there is also a special BOP for VLN this season, and hopefully that will make us a bit more competitive with our heavy (but good) DSG gearbox.